It would seem that some sort of quantifiable measurements would need to be established to ascertain who is the best. A police department does a lot of different things, and a lot of what they do cannot be measured. However, much can be measured, but who is keeping score? Some things that immediately come to mind are per capita crime rates, percentage of crimes solved, percentage of crimes not solved and not investigated, arrest and conviction rates, citizen satisfaction, officer satisfaction, average response time to calls for service, etc. This is just a quick list of items that could be measured and compared. I then spent a number of hours on Google trying to determine if such a list exists, with the above measurement points or any other measurement points. It would, in my opinion, be important that the determination of the best be the result of a standard list of measurements, and not just one or two points. In other words, it is quite possible that one agency is the best at solving homicides while another is best at citizen satisfaction. My conclusion is that I cannot draw a conclusion. Cincinnati may very well be the best, but I cannot prove or disprove the idea. In 1957, Life Magazine did a pictorial article of the Cincinnati Police Division and deemed it “A model police force”. This did not mean the best, but it was a giant feather in the cap of the City. It meant a police department that all other Cities could model their agencies after. I think that if there was a list of data points that would grade a police agency, at least in 1957 Cincinnati would have been high on that list. Also believe that Cincinnati would be high on the list today, if such a list existed. The closest I could find of any kind of list was “Top 25 Cities For Police Officers”. Unfortunately, Cincinnati rated a dismal 23 out of 25. That, of course, is not surprising, when the City Administration makes an annual threat to lay off police officers. I believe there are two components that will define a police agency. The first being the character and dedication of the men and women who make up the rank and file of the department. If morale is high, if there is pride in the agency, and if integrity is paramount then there is potential the agency will be the best. The second factor is based on leadership. Does the Chief command respect or demand respect? Do the officers willingly follow his/her orders because they instinctively know they are the right orders, or do they follow orders because of fear and intimidation? Does the chief lead by example, or does the chief lead with a do as I say, not as I do mentality? With the right combination of those two components an agency can be one of the best. I think Cincinnati is strong in the first component, the second, not so much. 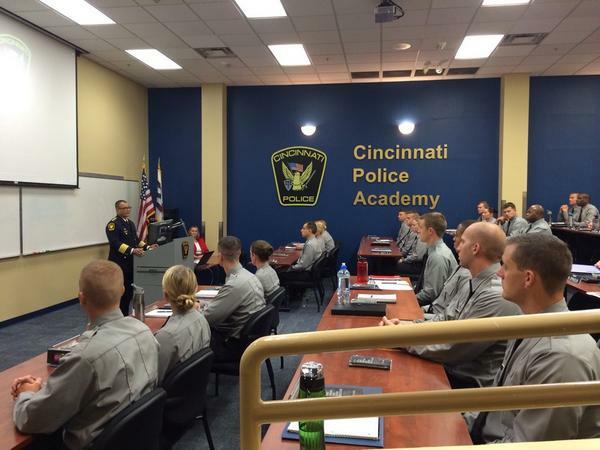 As far as the original question, is the Cincinnati Police Department the best agency in the U.S, I have no idea. You decide.